Why Does A Gambling Addiction or Binge Have to Turn to Suicide? This Needs to STOP … | Gambling Recovery Can Start Here. Sharing Hope, Awareness, and Support. When Gary Van Duinen’s mother learned her son hadn’t come home one night, she went straight to search for him among the poker machines at Dee Why RSL casino club. Joy recalls being angry, demanding to speak with “someone in authority” and begging them to ban him when he next turned up because he’d blown hundreds of thousands of dollars over the past few years. But by then, it was too late. Police believe Gary had commenced a 13-hour pokie-bender before midday the previous day, taking himself through the Collaroy Services Club and Manly Leagues Club before he twice visited Dee Why RSL. He left the club for the last time shortly before 2am. The last person to see him alive was a cab driver who dropped him near a patch of suburban bushland near Narrabeen Lakes sometime after 5am on Friday, June 1. His body was found by a search and rescue team six days later. He was 45. Joy was not the only member of Gary’s family to have begged the Dee Why RSL to intervene to curb his gambling. His wife Sonia says she had twice appealed to a manager at Dee Why to step in, once last December and again in January or February. “I’m not the carrying on and sobbing type, but I was then,” Sonia recalls. She received the same response as Joy: under the NSW self-exclusion regime, Gary would have to ban himself. In essence, Sonia would have to convince Gary to have himself excluded. The Dee Why RSL has been a focal point for the Van Duinens, as it is for so many other locals. They ate and drank and met friends there. They saw bands and danced and celebrated family occasions there. They played the slots (pokies) there. Looking back now, Sonia says Gary’s habit exploded two years ago when he had two big wins totaling around $60,000 in the space of a one night. He soon lost the money and then set about winning it back. One more big one, he used to think, and he would be able to stop. A year ago he asked his mom for another substantial loan, which she agreed to on the condition he went to Gamblers Anonymous. She took him to the first meeting herself and then quietly followed him in her car to the second. He did not make the third. By early May this year, Gary’s whole life revolved around the slots (pokies). He even stopped seeing friends who did not gamble. Sonia left him, saying she’d be back when he gave her control of the family’s finances. “I just thought I could shock him into it, the thought of losing his family,” she explains. He tearfully confided to sister Tracey on May 13 that his marriage had collapsed, he had no money for fuel or groceries, and because he couldn’t pay for materials or wages, he couldn’t work. Friends rallied and Joy paid enough of Gary’s bills for him to get back to work. He seemed to be getting his life together, and when he agreed to hand over the family’s finances to Sonia, she said she’d move back home. She arranged to do that on Friday, June 1. Going through his bank statements, his family discovered that in the lead-up to his death, Gary had spent the deposits paid to him for three jobs on a series of gambling benders. On Thursday the 24th he hit Dee Why RSL, the Star casino, and three other venues. Around $60,000 went through his bank accounts in May. He took his son Jack to dinner with his parents on Monday the 28th, seemingly in fine spirits. The following night he won $6500 at the Parkway Hotel, but according to Jack, he gave $2500 away to a stranger playing the machines nearby. Joy is left in anger as much as she is in grief. 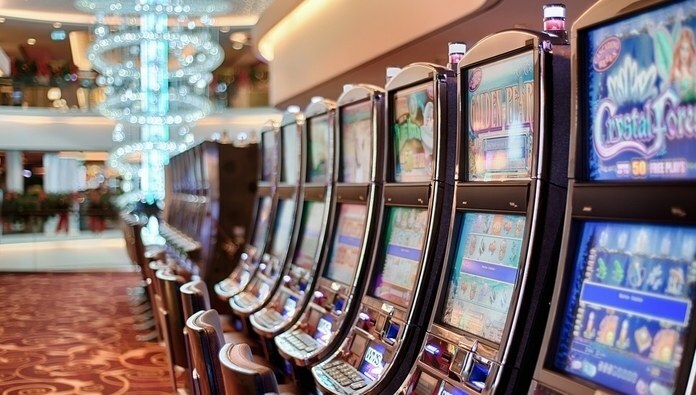 She is angry that the Dee Why RSL club did nothing to help her son stop gambling, but also that it appeared to encourage and enable his habit. It made him a member of its “Ambassador” program for big spenders, allowing him access to a special car park and red carpet entrance, sidestepping the sign-in process at the front door. He accumulated loyalty points for his heavy gambling expenditures, which he spent on drinks that staff brought to him at the machines. When he wanted cigarettes a staff member would leave the club to buy him his preferred brand at a nearby shop and deliver them to him at the machine. He was invited to bring friends to an annual slap-up seafood “thank you” dinner for heavy gamblers. In the wake of her son’s death, Joy spoke with club’s chief executive, Grant Easterby, who has again explained that the only intervention mechanism that exists is self-exclusion. The “perks”, Mr. Easterby explained, were just benefits extended to members. But Joy maintains that while the club may not have a legal responsibility to curb Gary’s gambling it could have done so anyway. Mr. Easterby said it was not possible for the club to know how much individuals could afford to lose in its machines. Joy asked Mr. Easterby if the club could help pay for Gary’s funeral, given his family was left in debt. He declined, instead suggesting local community groups that might be able to help. In a statement to the Herald, Mr. Easterby said that it was not lawful for the club to ”intervene with or ask gaming patrons to curtail their activity at the request of third parties, even family members. ClubsNSW has in the past advocated for the self-exclusion regime to be extended to include third parties and Dee Why RSL would support that change.” He did not address questions about the claims that staff fetched drinks and cigarettes for gamblers. A spokesman for ClubsNSW said in a statement that research shows that self-exclusion has proven to be an effective measure for those people who sign up for it, with 74 percent of problem gamblers included in a University of Sydney study reporting they had reduced their gambling and improved their financial situation. He said ClubsNSW agrees that third parties such as family members should also be able to make an application to have a person banned from a gambling room. “Families are better placed than just about anyone else when it comes to determining whether or not someone has a problem with gambling. They notice the mood changes and erratic behavior. They should be encouraged to intervene when they think it’s appropriate to do so. While there will inevitably be some vexatious complaints, most family members are well-meaning and would act with the best of intentions,” he said. A spokesman for Liquor and Gaming NSW said the regulator had launched an investigation into this matter following a formal complaint. “Our investigators attended the club this week to conduct inquiries including interviewing managers and obtaining gaming machine player activity statements,” he said. The Van Duinens were left so angry by the circumstances of Gary’s death that they approached Andrew Wilkie, the Tasmanian MP who has campaigned against the poker machine industry because they wanted to draw public attention to it. Mr. Wilkie says clubs should be required to do more for gambling addicts, and he agrees that third-party exclusion should be introduced. “I appreciate that there are privacy issues, that adults should not be interfered with by other people. But surely there could some sort of temporary ban that clubs could introduce while they checked into the welfare of people like this if family members come forward,” he said. According to its annual report last year, the Dee Why RSL took in $13.2 million from catering and drinks and gave away $1.9 million in community support. It took $43 million from its poker machines. This entry was posted in Recovery & Addiction. Bookmark the permalink. ← “And Now a Message From Our Recovery Sponsor”… Dr. Rev. Kevin T. Coughlin, of The Professional Institute of Higher Learning. Gambling Relapse Prevention Guide To Survive Life Events That Works. What is Addicted Compulsive Gambling & Is There A Cure? Gambling Addiction and Recovery Resources, Support, and My Friends. Who Is This Recovery Advocate, Writer, Author, Blogger, Recovery News Columnist, and Recovery Warrior? My Book, Life, and Recovery Starts In “Addicted To Dimes”. . .
Won New Award! Inspiring Talented Recovery Reader! Follow My Recovery on BlogLovin! © Author, Catherine Townsend-Lyon, 2012 Unauthorized use or duplication of this material without the consent of the author is prohibited. Excerpts or links are permitted as long as credit is given to the proper author of a;; content and with direction to the original content. Please refrain from “reblogging” posts without my permission please - except through WordPress Re-Blog service. All you have to do is ASK. I'm a Nice Person :-) ALL Opinions Here are my OWN. Gamble addiction it must be treated. Im here to share my story and trying to help others too.